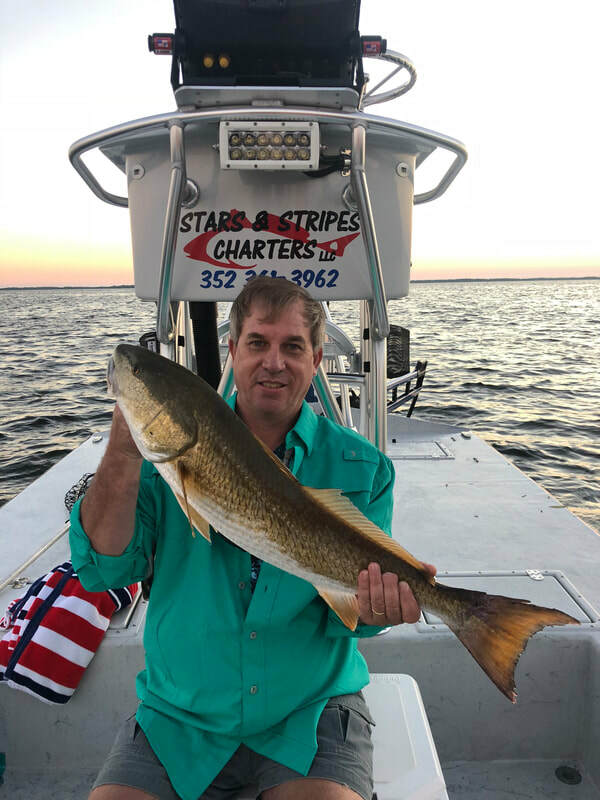 Licensed/Insured Master Captain Matt Kleckner owner of Stars & Stripes Charters, LLC, offers ocean adventures for the entire family! 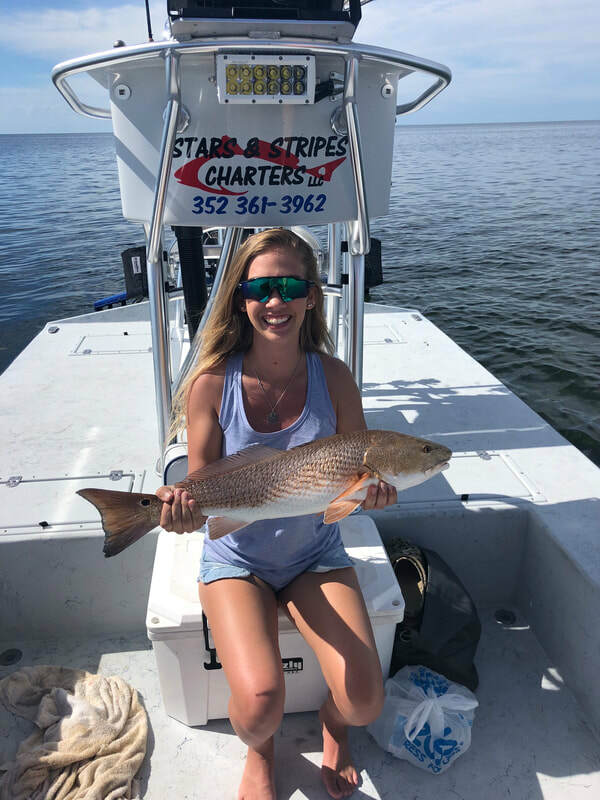 Whether you are chasing that trophy fish of a lifetime, or catching dinner, snorkeling for scallops, interacting with the manatees, or enjoying a sunset dolphin cruise, Stars & Stripes Charters, LLC, is your go to guide service! 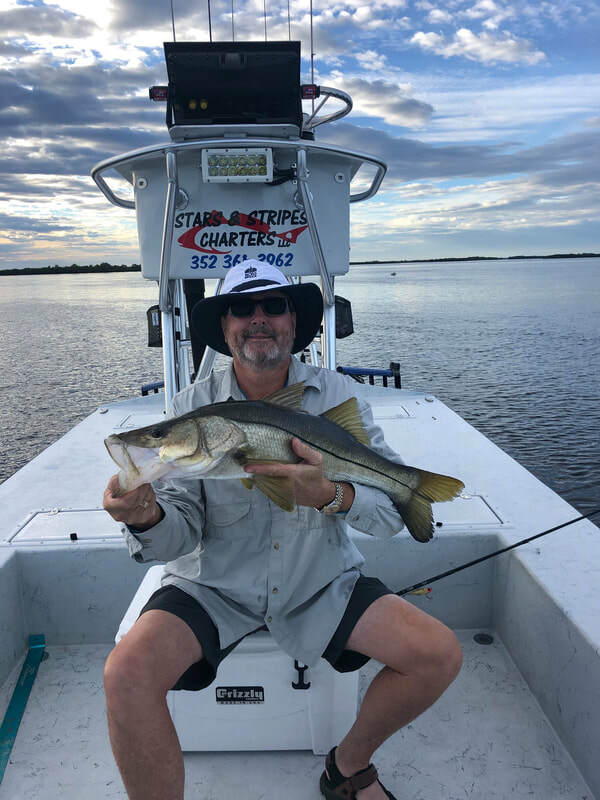 With over 30 years fishing experience Captain Matt will work hard to put you on fish! Stars & Stripes Charters takes every opportunity to give back to our Active Duty Military and Veterans. From the start, it has been our vision to spend time on the water with the brave men and woman who have sacrificed so much for our great country. We will continue to provide Veterans discounts and sponsored trips. 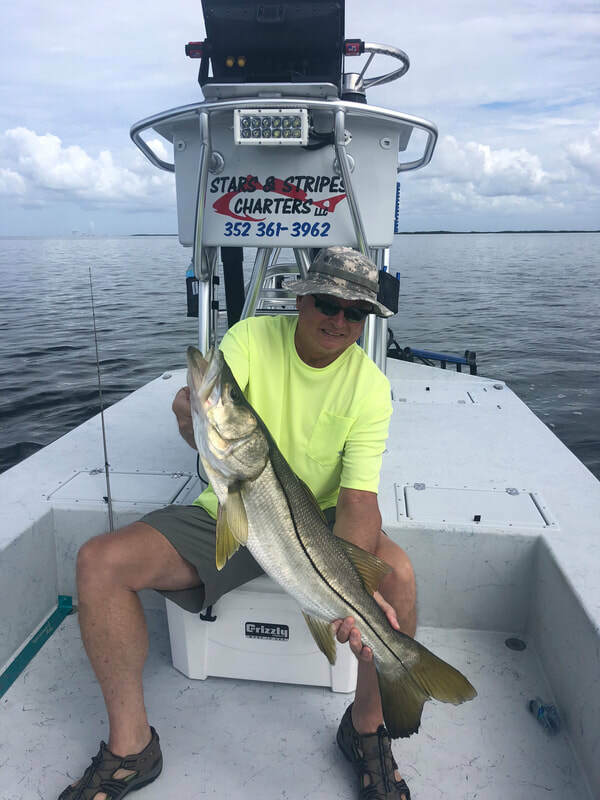 We hope to make your Stars & Stripes Charters experience one which leads us to a long lasting relationship and your favorite Fishing Charter in Crystal River. Captain Matt fishes in a 2018 Micro Draft 22 Extreme. This boat is capable of floating in 6" of water and running in much less. With a Mercury 115 Pro XS, state of the art SIMRAD electronics, 10' power poles, and all the bells and whistles we aim to make your time on the water a memory for life. If you have any questions or concerns, or if you’re ready to book your next adventure, we are looking forward to hearing from you. 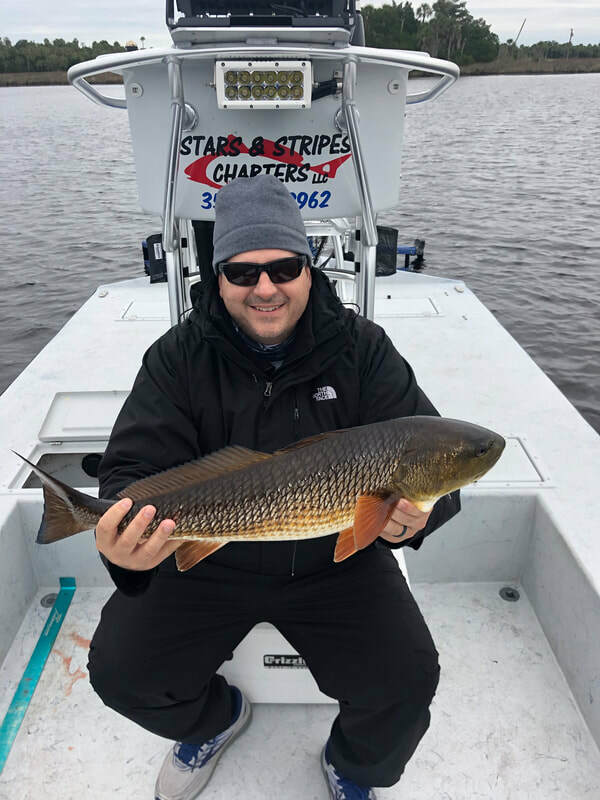 Stars & Stripes Charters, LLC, offers full or half day In-Shore / Near-Shore fishing packages. While enjoying fishing you are likely to see Sea Turtles, Sting Rays, Manatees, and even a School of Dolphin playfully following the boat! During Scallop season, we offer either full or half day Scallop excursions. During our cooler months Manatees move into the warm spring fed tributaries, this makes for easy viewing of these amazing animals right from the boat, or if you chose, you may enter the water and interact with them from their point of view. Stars & Stripes Charters, LLC, offers beautiful sunset cruise packages! Our Sunset cruises can be booked for a group up to 5 or a private party of two. Make any day a special occasion, by watching the sun set into the Gulf of Mexico! At Stars & Stripes Charters, LLC, We Love Our Veterans! As a thank you for your service, we offer all of our packages to Veterans at a discounted rate. We can accommodate most special needs, so please let us know what they are when booking your charter. We are currently teaming up with local business in an attempt to provide fully sponsored charters for Veterans and Active Duty Military! 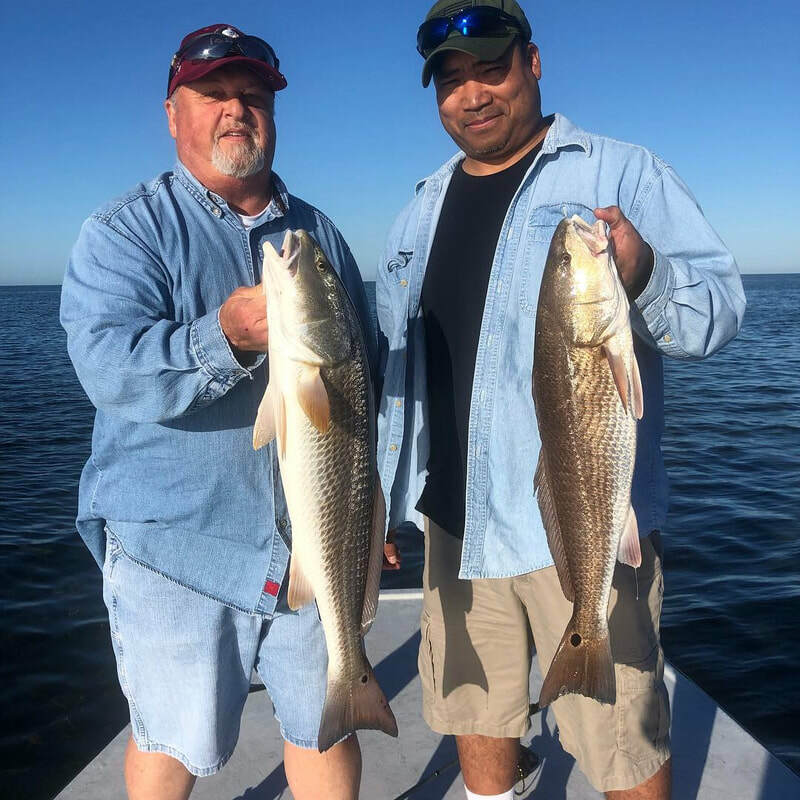 Fishing offers the inner fisherman in all of us a chance to get out on the water and put some dinner on the table! 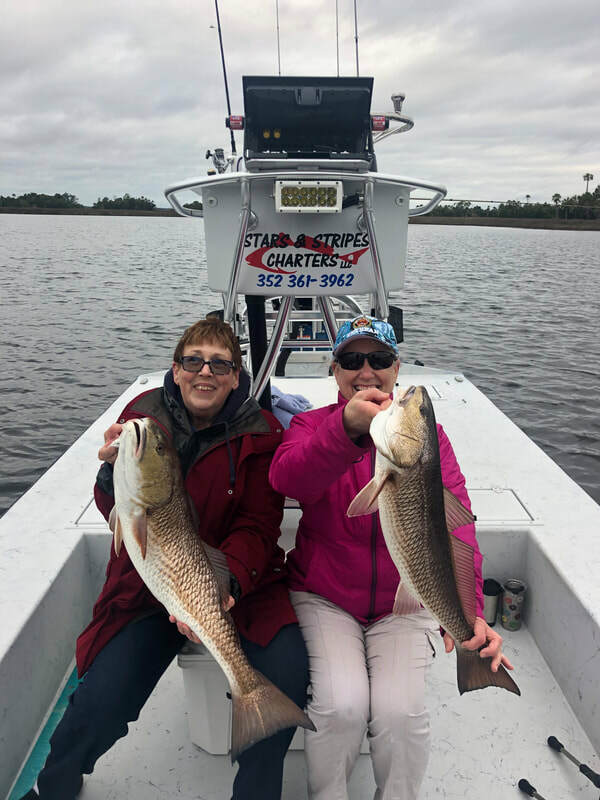 Whether you're a skilled angler or just want to give it a try, Stars & Stripes Charters, LLC, is your go to fishing Charter Company! Half Day Fishing 4 Hrs. (1-2 People) $300, (3-4 People) +$50 per. 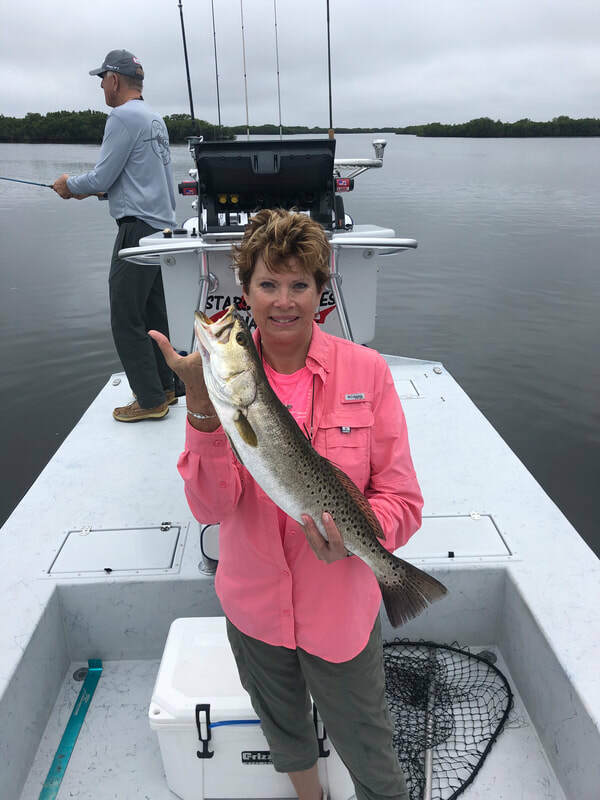 Full Day Fishing 8 Hrs. (1-2 People) $450, (3-4 People) +$50 per. Scalloping 1/2 day 4 Hrs. (1-2 People) $250, (3-6 People) +$50 per. Fishing/Scalloping Combo 6 Hrs. (1-2 People) $400, (3-4 People) +$50 per. We will Captain your vessel $50 - $100 per hr. depending on vessel and circumstances.